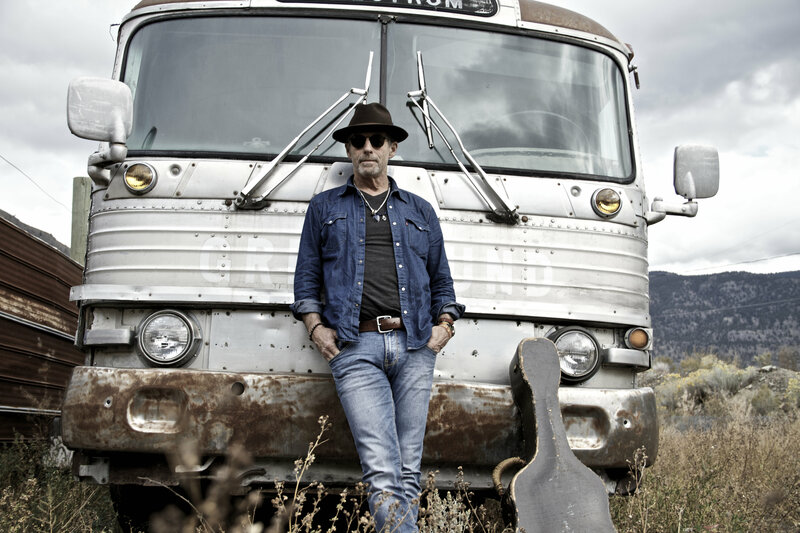 Well, Barney Bentall looks like the world has caught up to you. The album was recorded and mixed in Vancouver by John Raham at Afterlife Studios, excepting “Moon At The Door,” recorded and mixed by Sheldon Zaharko at Monarch Studios. Despite several sabbaticals from the musical wars, Barney remains very much part of the fabric of Canadian music culture. A jeans and T-shirt kind of guy, Barney is foremost a journeyman artist who is writing better than he ever has; feeling that he’s still got something that he wants to say, and there might be people out there who want to hear it. With “In The Morning” — co-written with Cory Tetford — underscored by the poignant line, “There’s the life of the village and the life of the quest,” Barney addresses the nomadic spirit of the troubadour life playing tug-and-pull with home life. Many of the songs on The Drifter & The Preacher have an undeniable atmospheric charm, but Barney’s fierce frankness is strikingly underlined in “On The Shores Of Grise Fjord,” a gripping account of one of the most shameful events in Canadian history. Some 87 families, comprising 250 Inuit from the Ungava region around Hudson Bay, were dumped in 1953 at Grise Fiord, 1,200 kilometers north of the Arctic Circle on Ellesmere Island, in an attempt to establish Canadian sovereignty over the Arctic. Barney treasures Newfoundland life enough to return there often for gigs, and to use the province as part of his canvas, previously penning “Sending Out A Message” about Signal Hill overlooking St. John’s harbour, and “L’Anse Aux Meadows,” about the archaeological site on the northern tip of the island. Next came a self-titled Epic Records’ album which sold over 100,000 units, and earned the group a JUNO Award for Best New Group. As his life began moving at a dizzying speed, Barney was swept into a circle of peers that included Blue Rodeo, k.d. lang, The Tragically Hip, Colin James, 54.40, and The Odds. His career education took place in parlaying strong grassroots popularity into a national following; and by playing to crowds in seedy bars to concert halls and arenas all over Canada. At its peak, the band was playing 200 dates a year, graduating from touring in a van to a motorhome to tour buses. 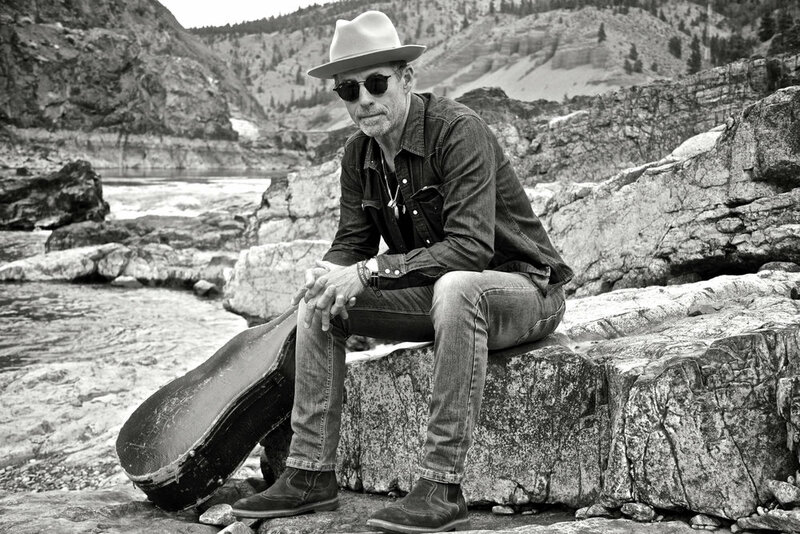 Barney Bentall and the Legendary Hearts released four further studio albums: The “Lonely Avenue (1991), Ain't Life Strange (1993), Gin Palace (1995), and Till Tomorrow (1997). A Greatest Hits 1986-1996 was released in 1997. By the mid-‘90s, the Legendary Hearts were struggling with the economic realities of a Canadian rock and roll band and, sadly, a deteriorating relationship with Sony Music. Barney grew wary of the music industry and the insistent pressure to create hits along the lines of “Something to Live For,” “Life Could Be Worse,” “Do Ya,” “Crime Against Love,” “I’m Shattered,” or "Living in the ‘90s.” As international success eluded him, Barney decided to focus more on music that satisfied his own creative impulses while members of the Legendary Hearts transitioned into other careers. There is one period of his life that Barney often returns to when reflecting on his past – a decision that changed everything. Barney decided in 2000 to take time from music to reflect on the next phase of his career. With his brother-in-law, he and his wife then purchased a cattle ranch in the Cariboo region of British Columbia. It's an independence he's embraced to this day. Although he spent a sizeable amount of time running the ranch, Barney never quite removed himself from music. While remaining on the borders of the music landscape, he’d peek in to see if he saw anything he liked. This includes returning to recording with his solo albums Gift Horse (2006), which received a JUNO nomination, followed by The Inside Passage (2008), and Flesh & Bone (2012). Musing more about life and music, Barney wistfully starts talking about living on Bowen Island, and trekking to his ranch from Vancouver to Whistler through the interior of British Columbia to Lillooet, and about his deep love of the country along the murky waters of the Fraser River up to the Cariboo. “It is one of the most beautiful drives, anywhere,” he says firmly.